Orange dish is exclusive to Sur La Table. Generally, EmileHenry makes excellent products. Forewarning fellow cooking enthusiasts....Because Sur La Table has the worst, most arrogant customer service, terminally late shipping, etc., our entire cooking club will spend our $$$ elsewhere. Love this dish, it's nice and deep for serving family-sized sweet and savory pies. Great for deep pies, with our without crust. Just made turkey pot pie having only the top covered with pie pastry. Yum. Easy to clean and appears as durable of other Emile Henry products we have. Ruffled edge is generous enough not to tear pastry crusts when fitting the pie dish. Wish there was a larger size. Your Pies Will Look Stunning! You wouldn't thank that pie presentation would matter all that much - put a pretty apple pie in a glass dish and it looks just fine. It turns out that there is something to presentation after all. This gorgeous pie dish truly enhances whatever you place into it. The colors are deep and true plus it's easy to clean. I highly recommend. Perfect for the holidays. Can't wait to bake my first apple pie in it! We bought this just in time for Thanksgiving and my husband made an amazing apple pie!. The red color is so pretty and I love how deep the dish is. I liked this pie dish for the depth more than anything. I thought the color would be red, but it turns out to be a dark orange, so that was disappointing...but I really like how nice and deep it is! I honestly only make pie 2-3x a year during the holidays, but this is such a beautiful dish and will showcase any pie. The dish is very sturdy, and thus far it has remained free of chips. Highly recommend! Beautiful, cleans easily and deep enough for chicken pot pie! Met all my criteria for a nice pie pan. I got it on sale. If not on sale, it’s expensive. Thought this was a beautiful piece to present a pie, turned out to be the best pie dish EVER! Loved it so much I went back and bought one in nearly every color ??. This dish bakes so evenly it’s amazing! Great for making perfect quiche also! You won’t be disappointed with this purchase! This is my second Emile Henry pie dish. Love the size. Haven’t had a chance to use this one yet, but my cat has adopted it?? Emile Henry never disappoints ?? 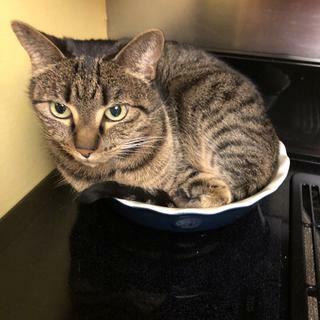 I love this pie dish. It's nice and deep and beautiful as well ...makes for a lovely presentation. I love it! Baked a beautiful apple pie in it for Thanksgiving! The pies did not spill over in the oven. That is why I bought them, the high side. I bought this for my wife for Christmas and it cracked after only a few uses. We were careful in how we handled it and never had it in an oven over 400 degrees. I'm very disappointed. Nice quality, great colors and festive for fall. Happy with them so far. My son loves apple pies, especially deep dish. This pie pan is perfect for that. I've also used it to make chicken pot pie. The pan can go from refrigerator to oven with no problem. I'm very happy with this pie dish! Emile Henry Modern Classics Pie Dish is wonderful! Helps to make the best pie ever! Gave this as a well-received gift since I love mine. Outstanding quality that bakes a perfect pie. After 50 years of making pies in the old pyrex pie plates, I decided to treat myself to 3 of these beauties. I love how deep they are. They bake the pies beautifully and slices are easily removed. You can't make a simple pie in this beautiful, deep dish pie dish. Double the recipe and really enjoy a big, juicely piece of blueberry pie. Beautifully crafted. Very heavy weight porcelain glaze. Makes for a stunning table presentation. Very generous portions. Deep and easy clean up, Looks very nice on the table and if you take it somewhere. I love my Emile Henry pie dish. It's beautiful and bakes evenly. I purchased one of Emile Henry's pie dishes for my daughter. She loved it and I had to have one myself! It's a great deep pie dish and also looks beautiful to serve in! There is nothing better than Emile Henry when it comes to cooking. This is a generously deep pie dish. It presents your pie beautifully, while secretly cooking your pie perfectly through its even heating. This is the best pie dish in the world! It's beautiful and made in France. I usually make a couple pies at a time, then freeze one for later. With this dish, I don't have to remember to get the pie out of the freezer the day before, because it can go directly from the freezer to the oven! I just adjust my cooking time a bit. And I can't believe how easy it is to clean. Nothing sticks to it! Not even baked on cherry filling! This pie dish is a dream come true! Want to bake some savory entrée pies and needed a deeper dish. Replacing pie dishes lost in the Tubbs fire. The quality is well worth the price and they look nice, too. When an ordinary pie plate is just not sufficient for a gift. I had the same dish in eggplant and it broke. Already have one and decided that having two is a great idea. Good reviews, nice edge for pretty crusts, looks nicer than Pyrex. It looks of good quality, it's beautiful and the reviews say that it's a great product. I need something to make pies and quiche. Have a red one, wanted a green one. I wasn't going to ship a heavy item with price of postage. Your great Deal on Sale & Free Shipping...I couldn't resist! Thank you! My Mom asked for this item for Christmas. Shipping from the SLT site was faster than Amazon. It was requested as a gift. I thought anyone would love this as a gift! My wife makes the WORLD'S BEST APPLE PIE, she said if I wanted anymore she HAD to have these dishes !!!!!! been wanting a deep dish pie plate and thought I'd give a couple as gifts at this price! This is a requested gift for my daughter-in-law who shops here regularly. I have one and bought this as a gift for family member. I chose them due to the reasonable price, free shipping and the quality of the product. Thank you. This is a very good brand. we own a few other pieces and have found the quality to be excellent. This pie plate bakes consistently and the crust turns out beautiful ! Lovely pie pan that can be displayed on the table. Emile Henry makes good quality products - they are expensive, but worth the money for a quality product. I make chicken pot pies, and wanted a deeper pie pan. great quality. I have other matching products. Never met a piece of Emile Henry I didn't love. Didn't have this and it's a good price. No brainer. have seen it in the store and it's a deep pie dish. Purchased other Emile Henry and love it. Needed the matching pie dish. I have been looking for a deep dish pie pan. To replace one that was just broken. My granddaughter admired mine and asked for one for Christmas. diameter size and depth of dish? BEST ANSWER: See SPECIFICATIONS > Dimensions: 9" x 2"
Is 9 inch the overall dimension or the interior? BEST ANSWER: 9" is the topmost inner measurement, the bottom is 7 ". Can I cook a pie directly from freezer ? Yes I believe so. It is just tough to see if our is done as it is colored and deep dish. Look at the blog ofpn King Arthur Flour. Several different ways. is there any warranty on this item? I used one of my two recently for the 1st time. It has a crack showing through the glaze. BEST ANSWER: I would imagine so, but you'd have to contact Emile Henry or Sur La Table about that. That's what I would do. Otherwise, I don't know for sure. Good luck! These pie dishes are worth any hassle you may have. I do not know, but I would contact the maker via online website, and ask. It seems to be a reputable company, so I imagine it HAS some kind of warranty. Hope this helps.